To check your spindle motor for bad windings, you can use several different methods. As always, make sure to disconnect all power from machine before doing anything. We highly recommend using a qualified, experienced vendor like TigerTek for your spindle motor repair needs. Our repair specialists have years of experience, and consistently deliver industry-leading quality at very competitive prices, all backed by a comprehensive 12 month warranty. To experience the TigerTek difference, give us a call at 1. or contact us for a free quote. Using Ohm meter: Disconnect all power from machine. Check all three wires singly T1,T2,T3 (all three phases) to the ground wire. Readings should be infinite. If its zero or reads any continuity at all, then a problem exists with either the motor or cable . If it is go directly to the motor and disconnect from cable and check motor and the cable separately. Be sure to make sure leads on both ends are not touching anything including the other leads. 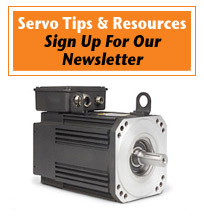 Most servo motor shorts can be read with a regular quality meter. Make sure you use quality meter going up to at least 10megohms. Using Megohm meter: Disconnect all power from machine. Check all three wires separately T1,T2,T3 (all three phases) to the ground wire. Readings are usually in a range from 600-2000 Megohms. Most shorts will be below 20 megohms. Be careful not to touch the leads or the wires to anything when taking the reading. It can give false and unrepeatable readings causing you to chase your tale. The above is what I found to be the average for 230VAC 3 phase motors. A rule of thumb that I've come across in other reference materials is about 1000 ohms of resistance for each volt of incoming power. Though 230meg for a 230VAC circuit seems on the low side from my experience. Only use this as a rule of thumb. Just beware that from 230meg to 600meg often shows some deterioration in the cables or motor insulation. Using Ohm meter: Disconnect all power from machine. Put meter on ohms: T1 to T2 T2 to T3 T1 to T3 The range usually expected is .3 to 2.0 ohms, though most are about .8ohms. If you read zero, a short between phases exists. Usually if it is an open, it's infinite or well above 2K ohms. Cable and Plug Notes Often times, the connector on the cable to the motor will get coolant in it. Try drying it out and retesting. If it is still bad, the inserts themselves will sometimes get burn marks in them, causing a slight short. In this case, the inserts should be replaced. Also look for areas where the cable moves through tracking. Wires will wear through over time. If it's a DC Motor, check the brushes. There should be 3-4 round caps to remove around the motor. Under these you will find a spring with a square block (brush). See how much is left maybe need to replace. Also check the commutator that the brushes ride against for wear; try wiping the surface down.